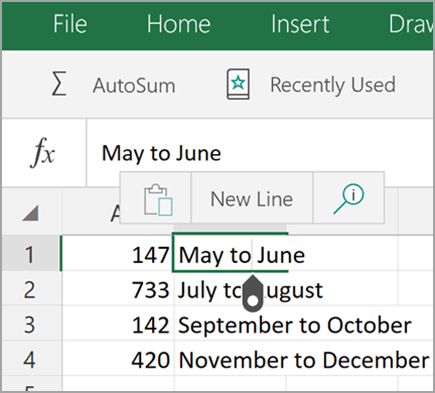 To start a new line of text or add spacing between lines or paragraphs of text in a worksheet cell, press Alt+Enter to insert a line break. Click the location where you want to break the line. Press Alt+Enter to insert the line break. 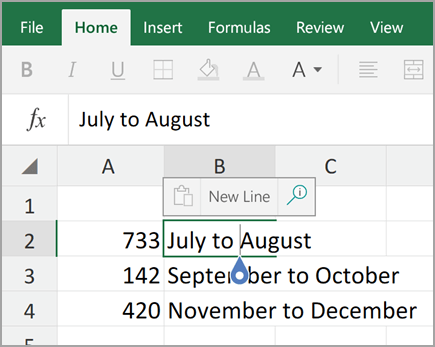 To start a new line of text or add spacing between lines or paragraphs of text in a worksheet cell, press CONTROL + OPTION + RETURN to insert a line break. Press CONTROL + OPTION + RETURN to insert the line break. 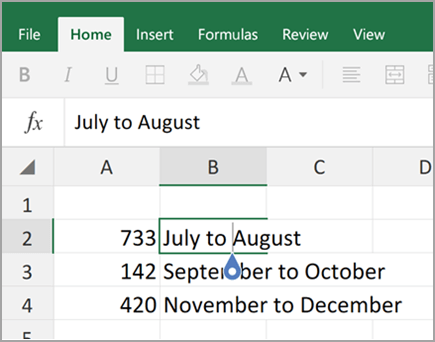 This feature is not available in Excel Online. Tap the place where you want a line break, and then tap the blue cursor. Tap New Line in the contextual menu. 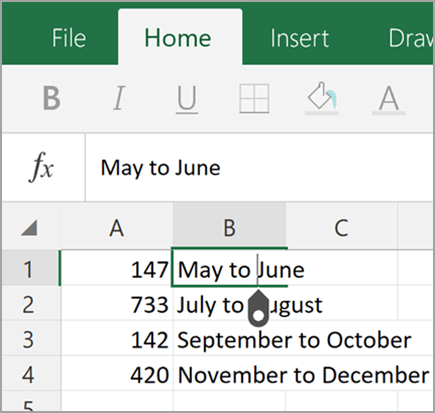 Note: You cannot start a new line of text in Excel for iPhone. Tap the keyboard toggle button to open the numeric keyboard. Press and hold the return key to view the line break key, and then drag your finger to that key. Note: The following procedure applies to Excel Mobile on Windows 10 only. If you are typing in a cell already, tap any other cell to get out of editing mode. Stretch two fingers apart to zoom in on a cell. Tap and hold the selection handle , and then drag it to the place where you want a line break. Tap the selection handle again. Tip: If you are using an external keyboard, you can use the shortcut keys Alt+Enter.